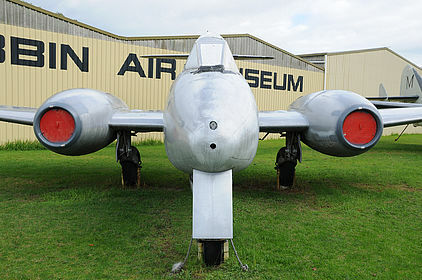 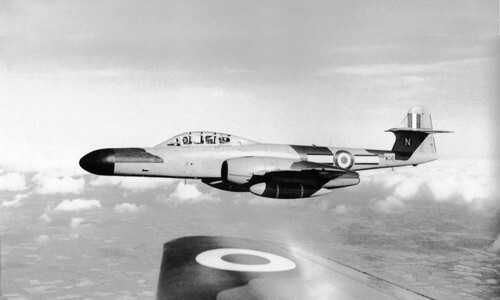 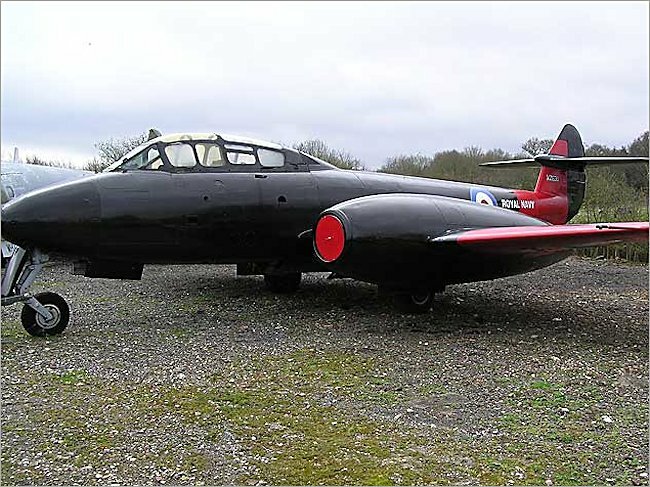 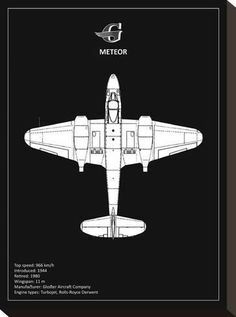 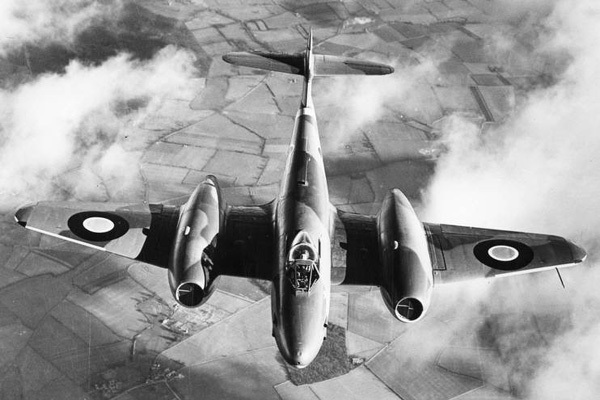 First flown on March 5, 1943, the Meteor became the RAF's first operational jet when it entered service with No. 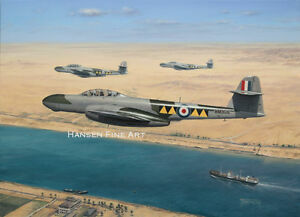 616 squadron on 12th July 1944. 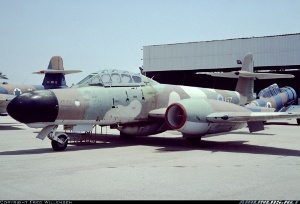 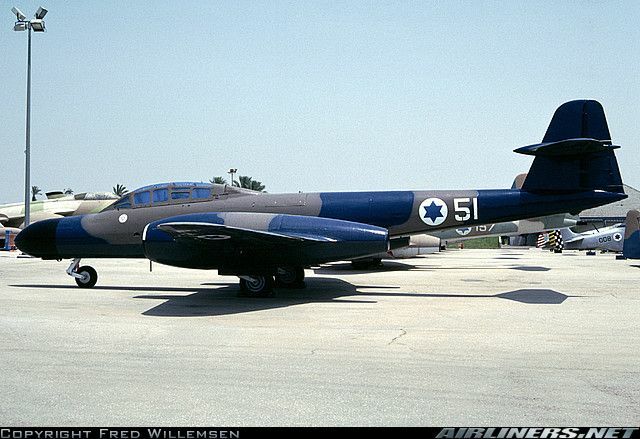 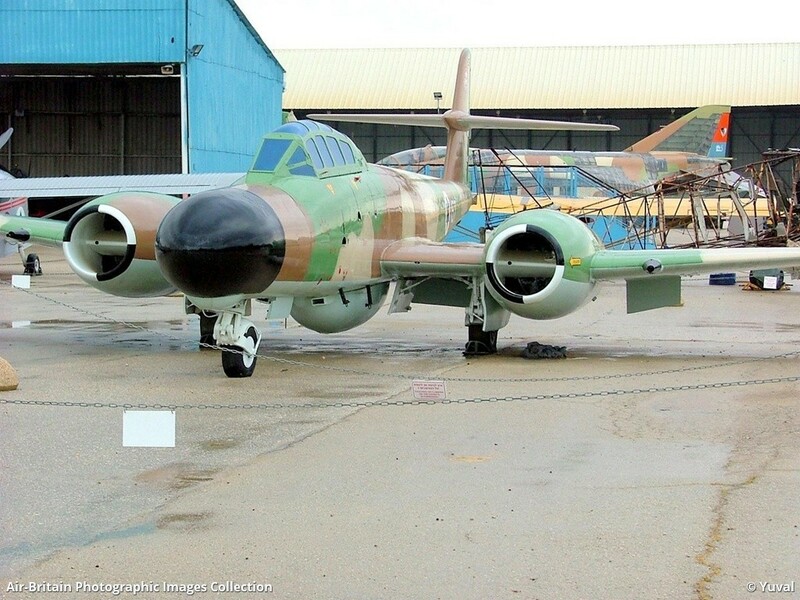 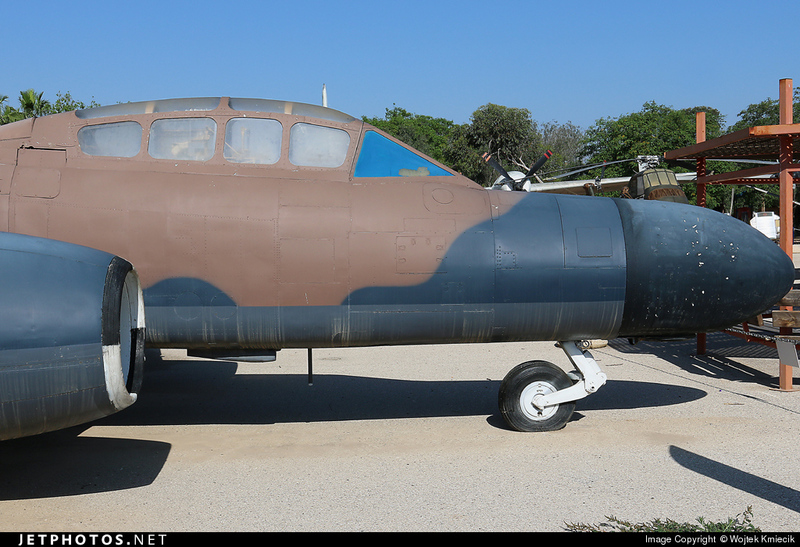 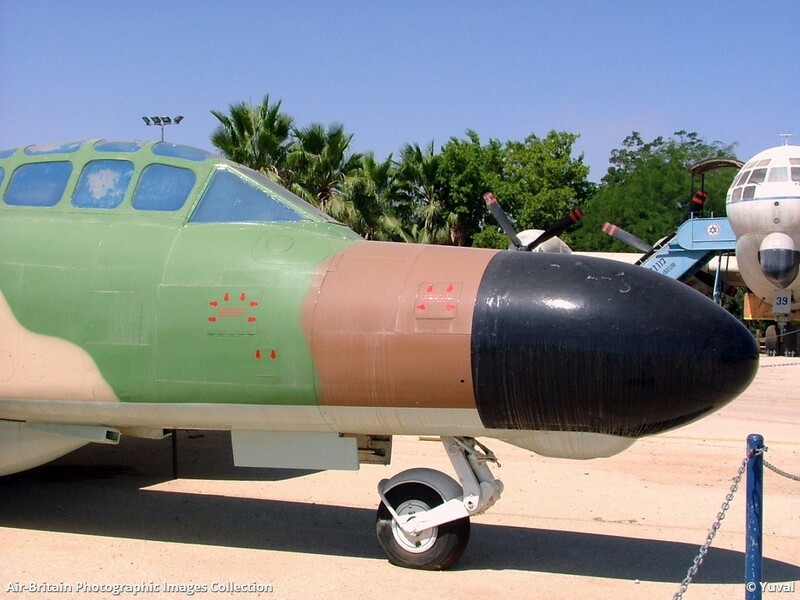 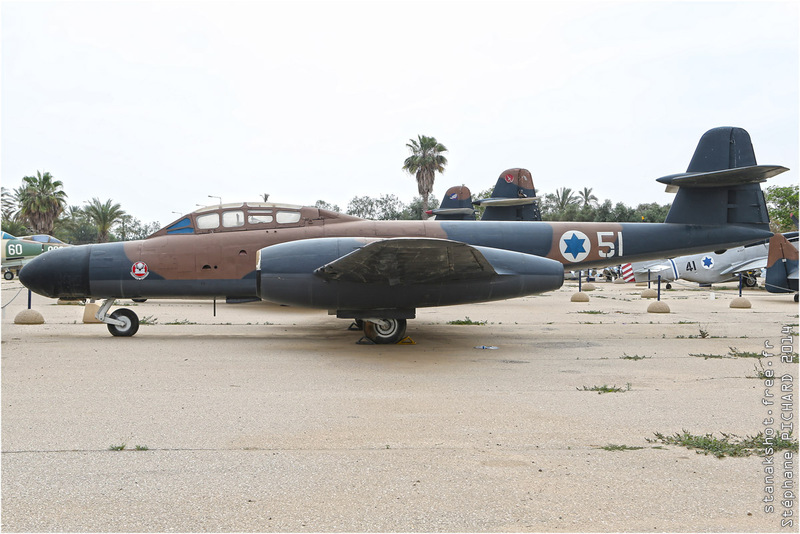 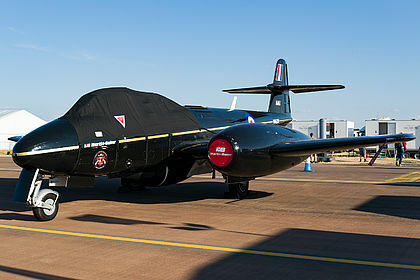 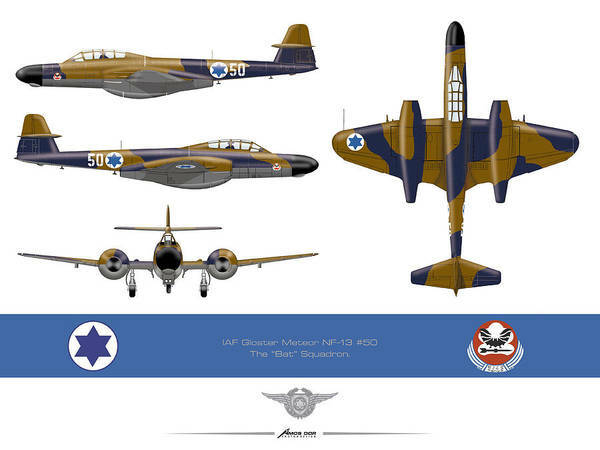 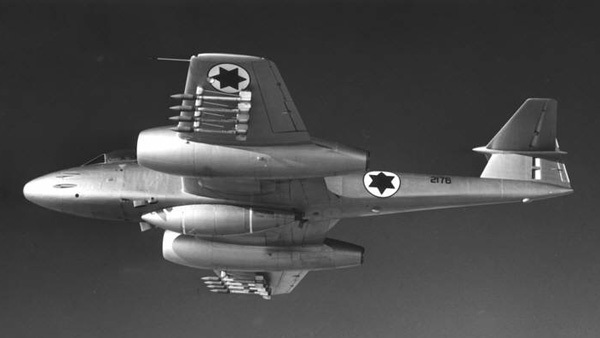 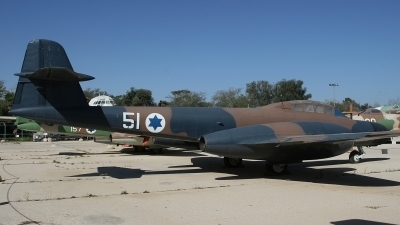 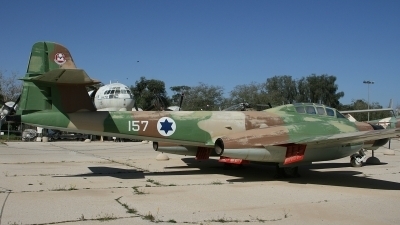 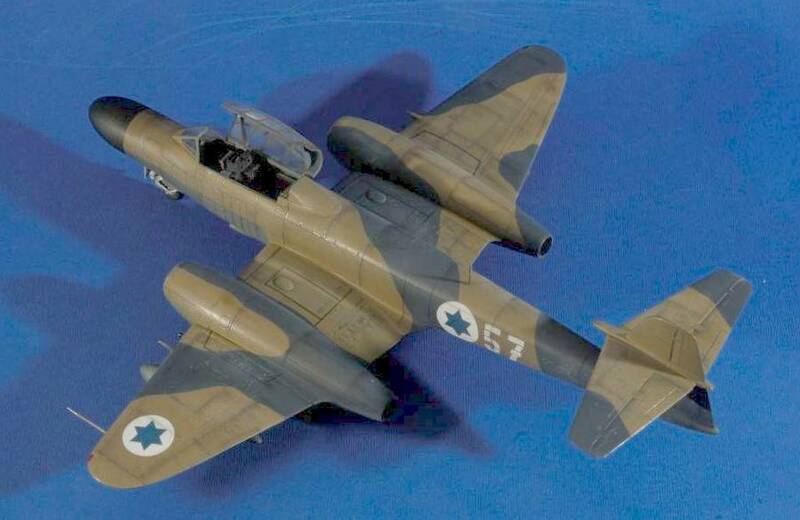 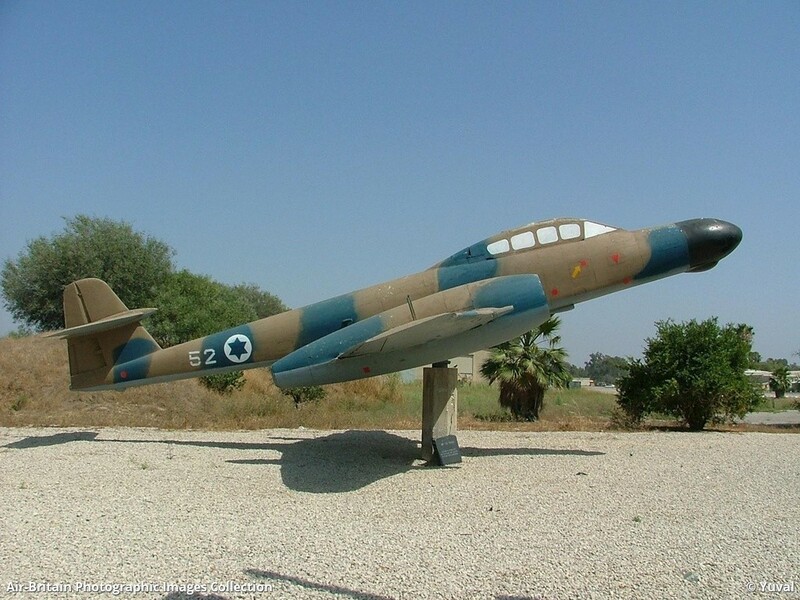 An F.Mk 8 Meteor of the Israeli Air Force. 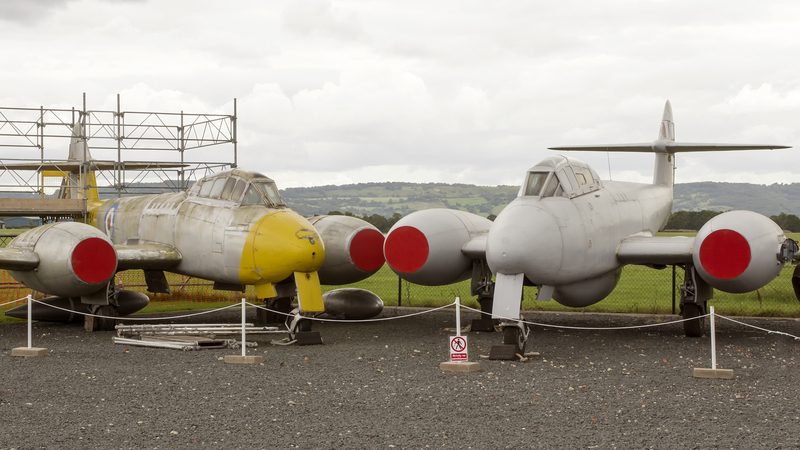 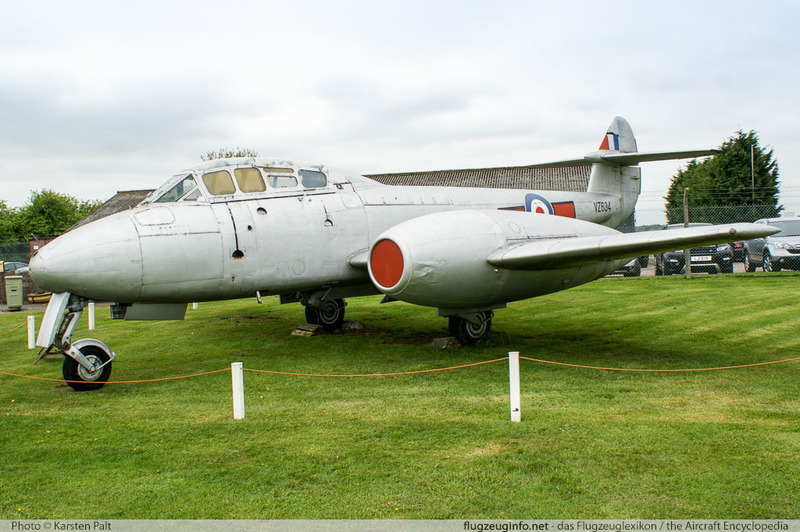 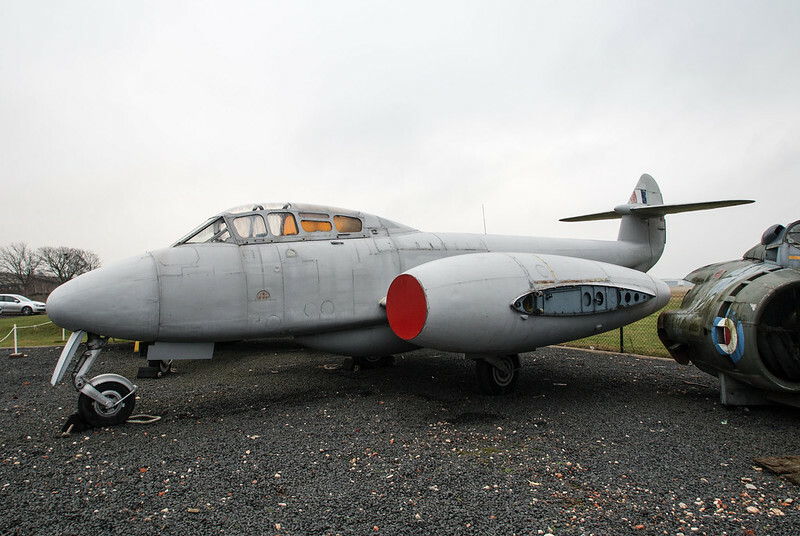 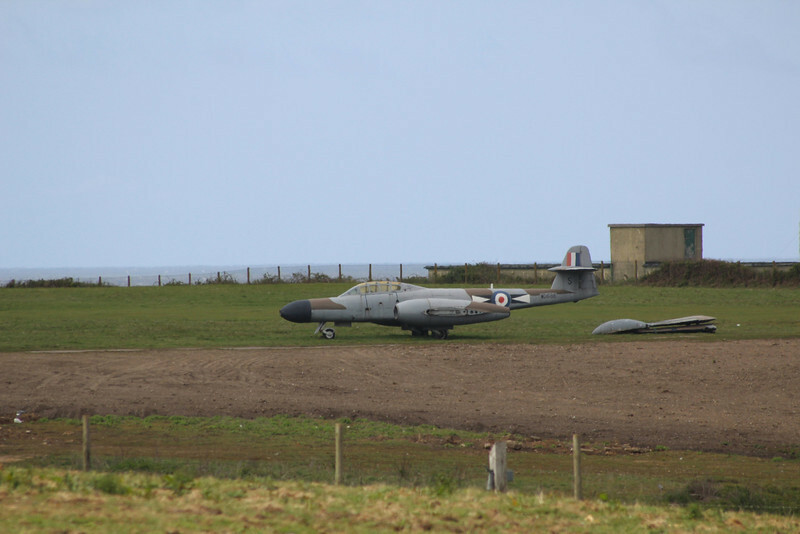 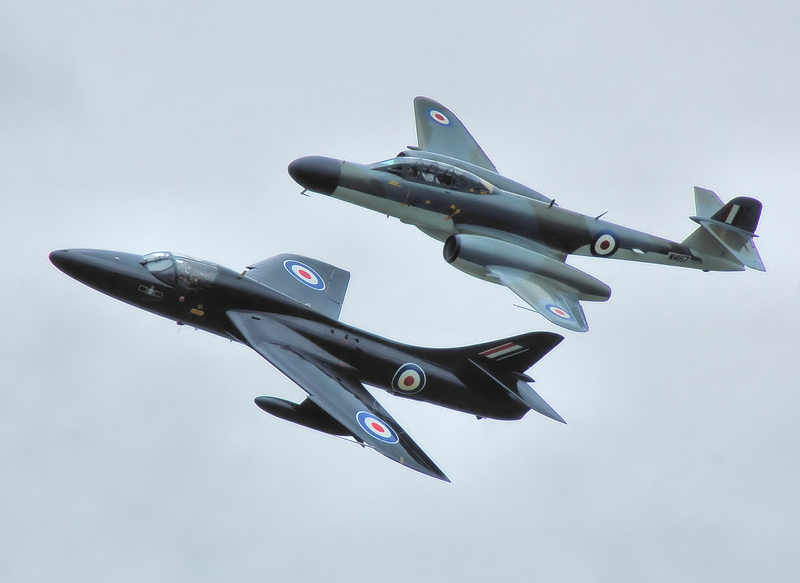 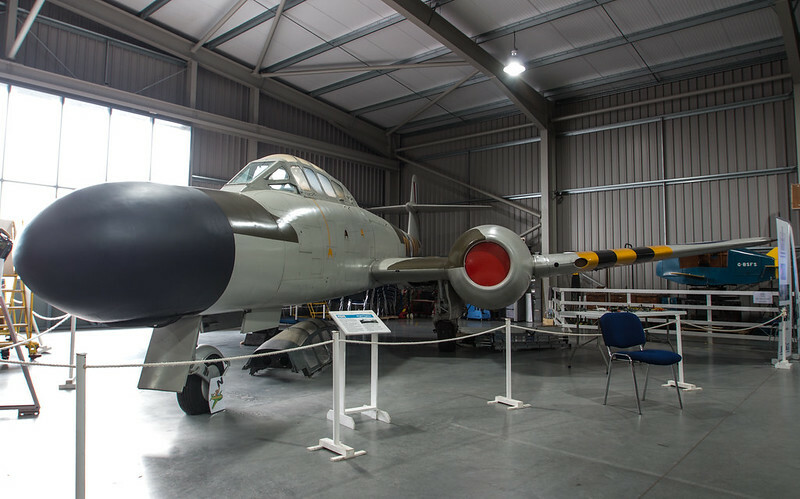 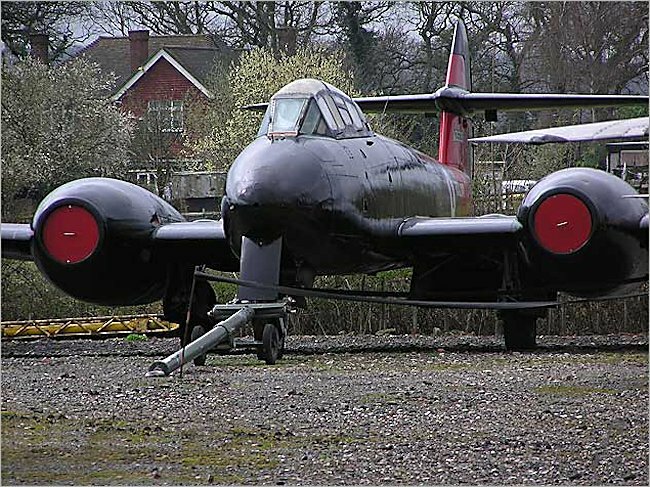 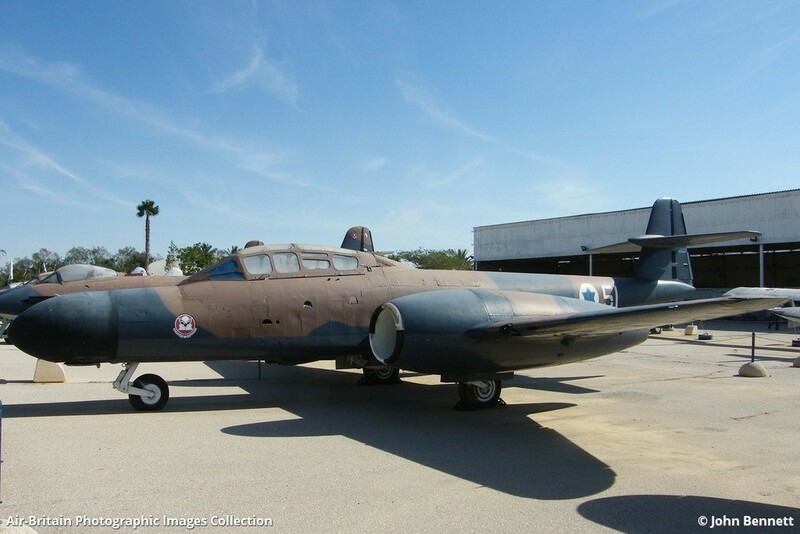 Neil Bassett on Twitter: "WM366, Gloster Meteor NF13 outside the Jet Age Museum yesterday http://t.co/JwpeFTrsCj"
A squadron of Gloster Meteor F-8, belonging to 2º/1º GAVCA (via N.L. 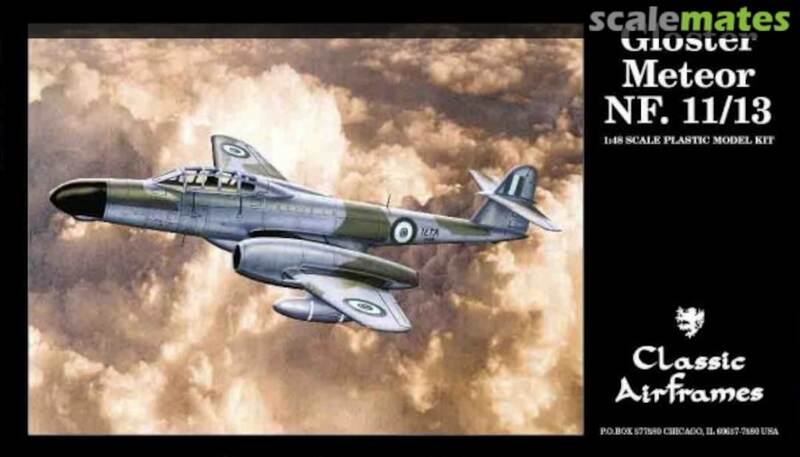 Senandes). 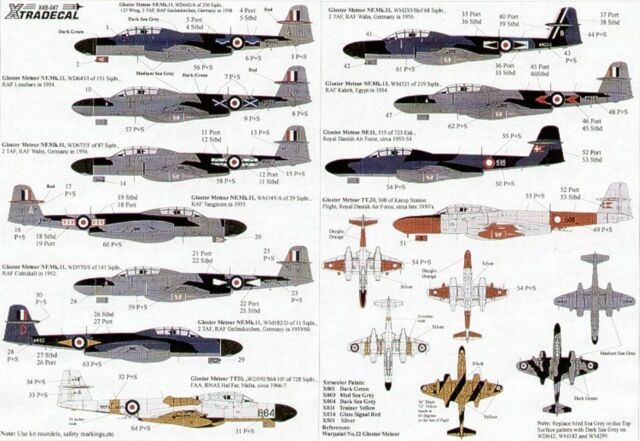 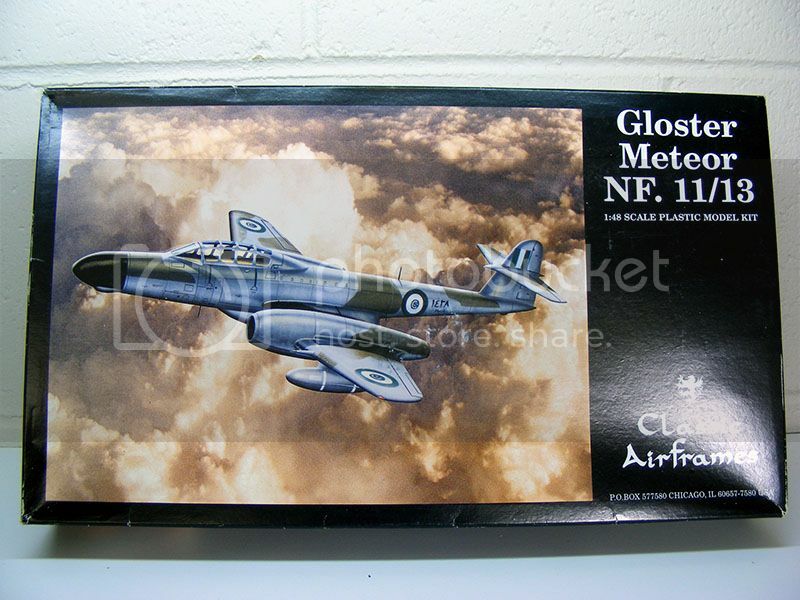 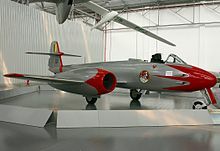 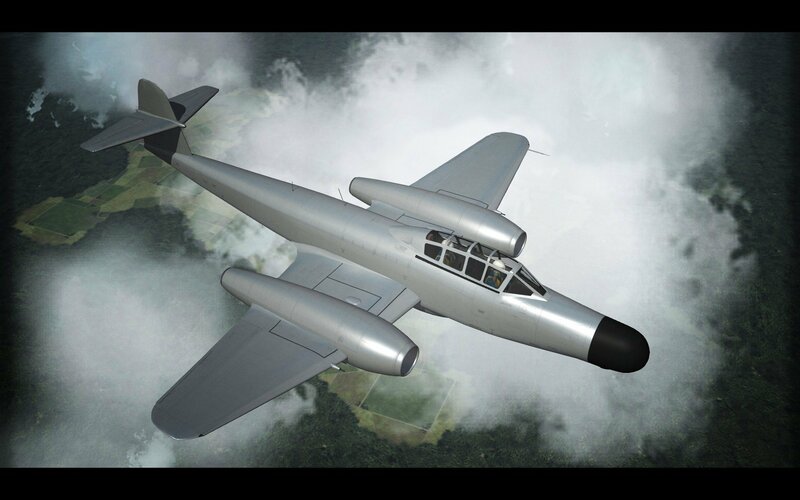 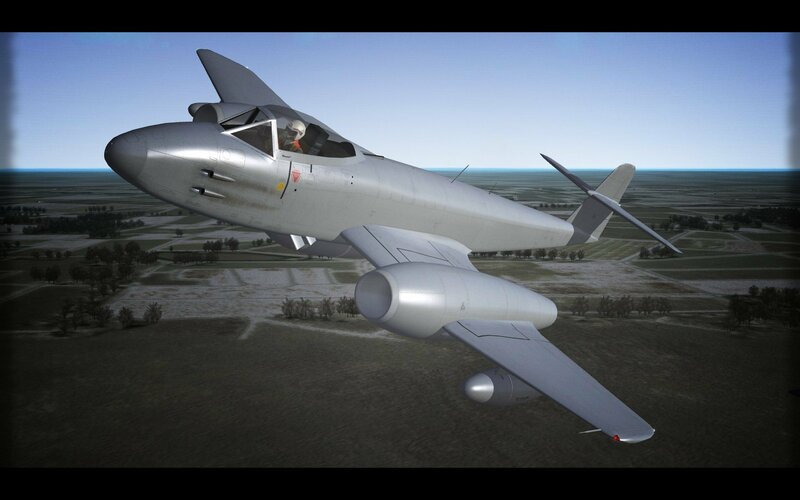 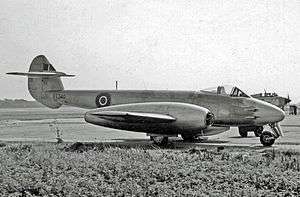 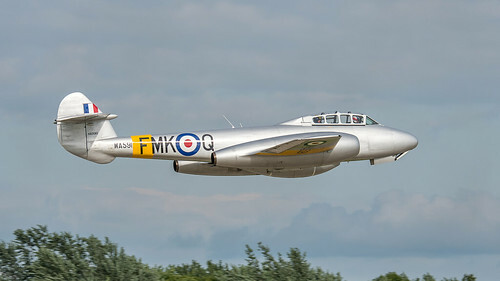 The Gloster Meteor was the Allies first operational jet fighter after the Germans Messerschiitt Me 262 which was the Worlds first operational jet fighter. 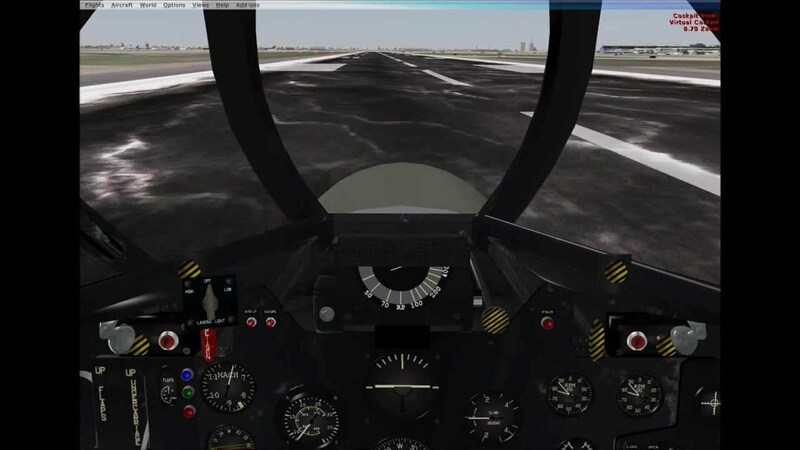 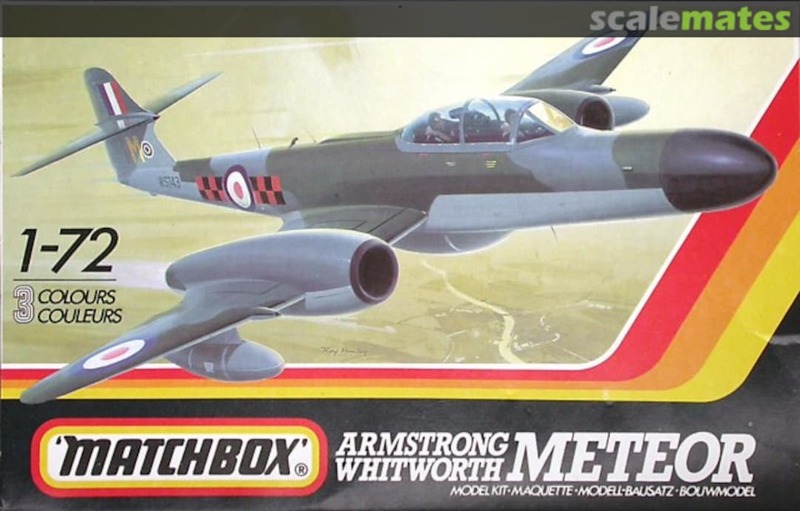 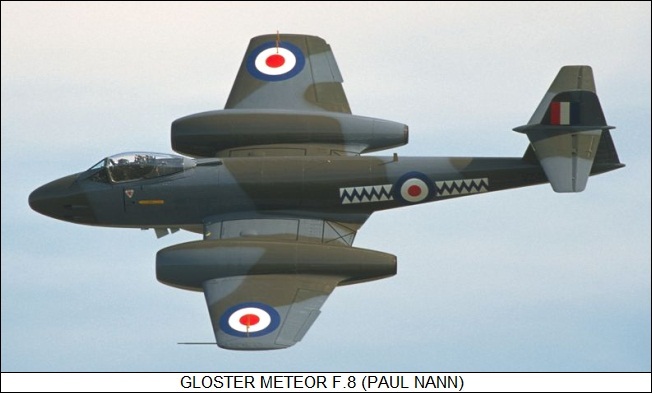 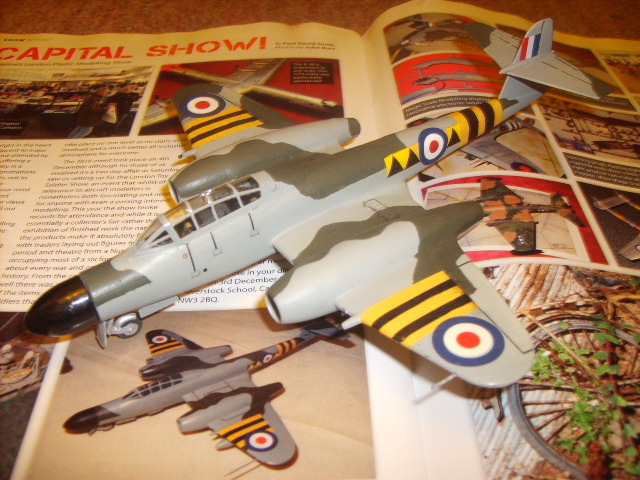 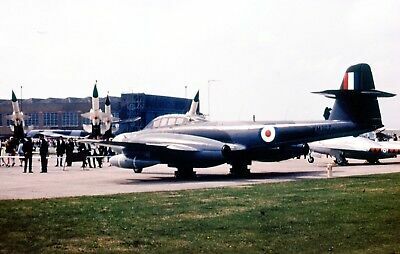 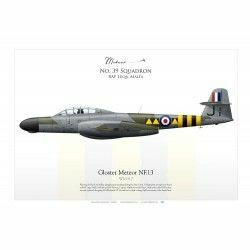 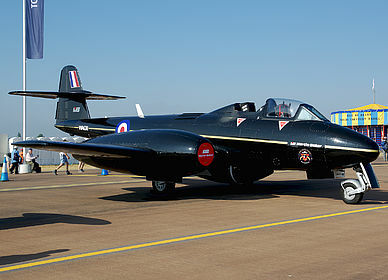 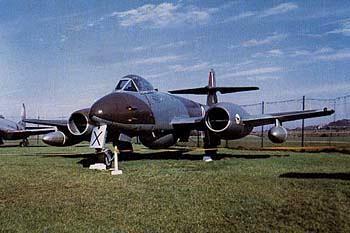 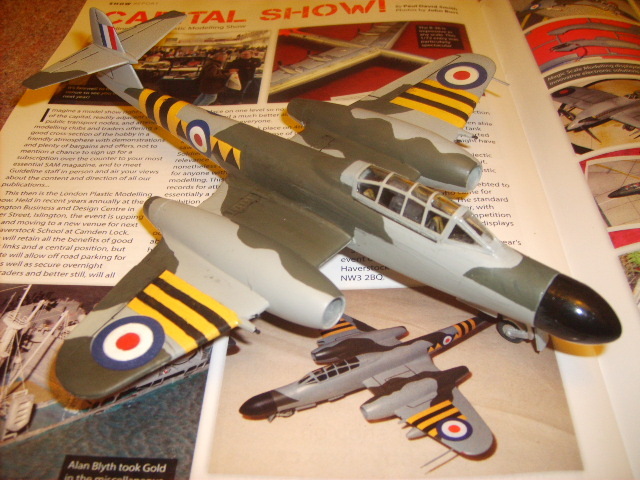 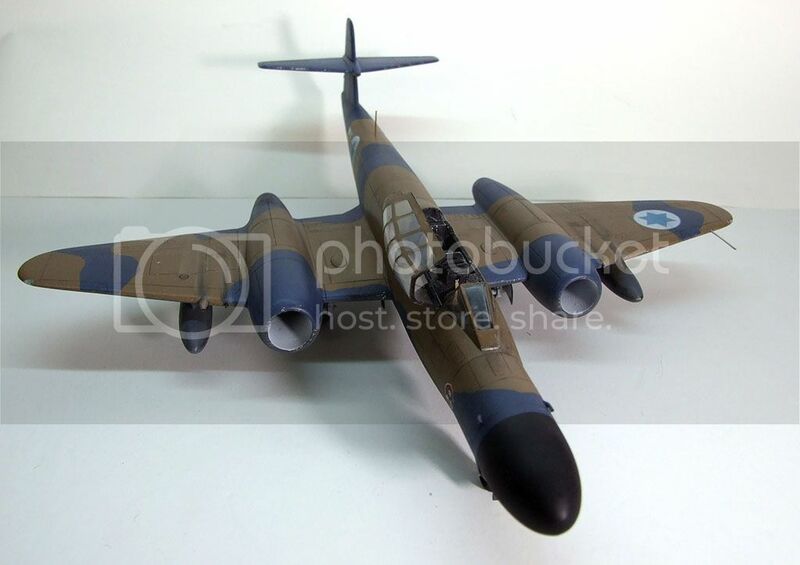 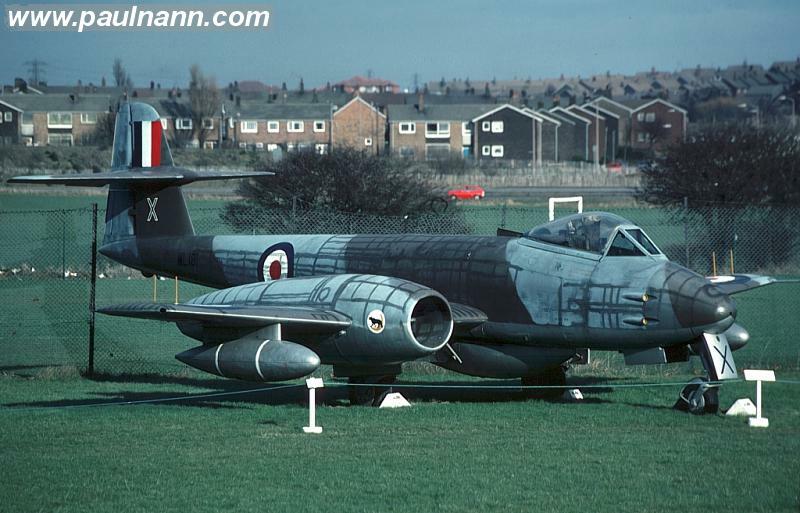 Discussion: Comments · Gloster Meteor | Great Britain | 85 Sqn, RAF | Meteor NF.Mk.